kim clijsters – the incredible belgian! i have to start this short comment with saying that my favorite female player has been justine henin, for basically the first decade of the new millenium. and this will not change; i’m looking forward to her coming back to the circuit next year. sabine lisicki is my favorite german player, and i hope she can reach the top twenty someday. but kim clijsters has shown her worth. to defend the us open title the way she did is almost more incredible than her comeback last year, when she came out of motherhood retirement to win the us open title for the first time. but, as they say, to defend a title is always more difficult than to win it for the first time. the incredible match against venus williams in the semifinal was the actual final, and that was when he deserved her crown, in the absence of venus’ sister serena. i don’t know if kim will ever manage to rise to number one again, but lleyton hewitt’s ex-girlfriend doesn’t need that any more. one thing i do know: she has the motivation, and it will be great to watch her try. federer is looking for more grand slam glory - and the record in weeks as number one! yesterday, roger federer played some incredible tennis. nothing new there, one should think. since 2004, he’s been constantly quite near to perfection. constant, in his case, means being the number one player of the world in only two seperate periods. which means that after his climbing of the tennis throne over six years ago, he has only been away from the top spot for two periods. and we are currently in the second period. the uncommon thing is that, for the first time since 04, he was the number 3 of the world, this year. quite a crisis for someone as special as the swiss. for the greatest tennis player of all time, which will probably be his title after retirement. but, for now, there are still some records to break. and one of them is actually quite exciting. pete sampras was the world’s number one for 286 weeks. that’s almost six full years, if you put it all together. roger stopped at 285. one week, and he will have that record under his belt, too – in almost half of the time. 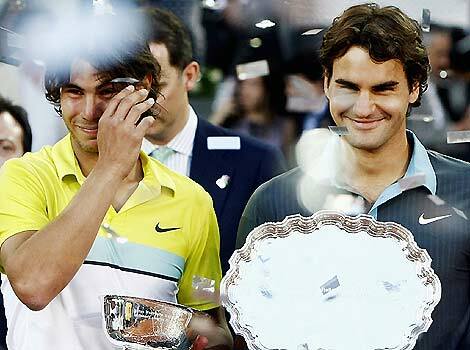 nadal x federer - a classic already, and a repeat might be underway this sunday. 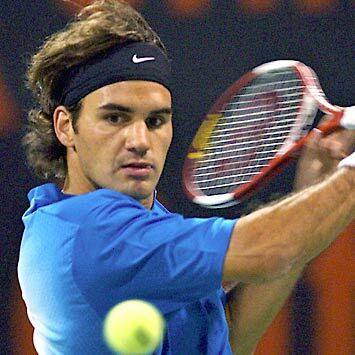 many people have started to doubt if federer could ever reclaim his throne. and he did give these critics some reasons during the season, loosing quite a lot more often than he is used to. but the match yesterday against söderling was quite an impressive proof that federer hasn’t given up yet. tomorrow, a good old matchup against djokovic. and maybe sunday, another classic final against nadal. and for some reason, you just gotta root for that guy. in favor of the underdog doesn’t seem to apply to federer, who is also liked by his colleagues, and trully admired by fans, journalists and ex-players. let’s hope for some more swiss success! it make take quite a few weeks, but that extra week will come!